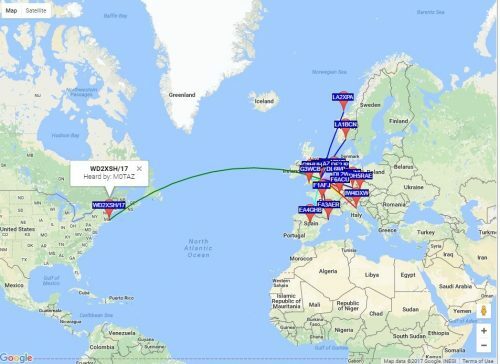 WSPR reception 24×7 has always been something I have wanted to try. The problem is trying to find a transceiver, computer, antenna combination that will allow this with minimum fuss. You won’t need a very high spec computer, but if you are leaving it on 24×7 low noise and power consumption will be high on the priority list. A laptop is one option, although they often have fans and may not be noise free, so you may want to consider one of the new breeds of “minicomputer”. Low power consumption, and low noise with many running on 12v. I opted for a second-hand minicomputer, silent running and powered from 12v. It uses the Intel Celeron J1900 with 4 cores and I added a 128G SSD so it boots in 3 to 5 seconds. These are good value and should provide a reliable machine, with a very small desktop footprint. If you looking to cover multiple bands then you need a broadband receive antenna and this typically doesn’t work well on a simple unmatched G5RV or doublet antenna. I completed some receiving tests using my doublet and a Wellbrook and found the loop outperformed the wire antenna significantly below 5 MHz. You can read more about receiving loop antenna on this page. George M1GEO has provided a very interesting article and instructions on how to build a low-cost Wellgood loop on this page. The Wellbrook loop I use seems especially good at 136 and 472 KHz, providing some interesting spots on these bands. The antenna is shared with my online SDR providing connectivity to the ELAD and Kiwi via a 2 port antenna splitter. I use the ELAD SDR, as its very low power consumption, and I can CAT control the band changes to suit the time of day. The radio is connected via USB to the PC running Joe Taylor WSJT-X program. The transceiver draws around 500 mA on receive and the Mini PC around 600mA at 12V. I have used a 12v SMPS designed as a computer power supply, its rated at 5A and runs cold. I use a laptop, but also a Raspberry Pi 3B+. All work great. 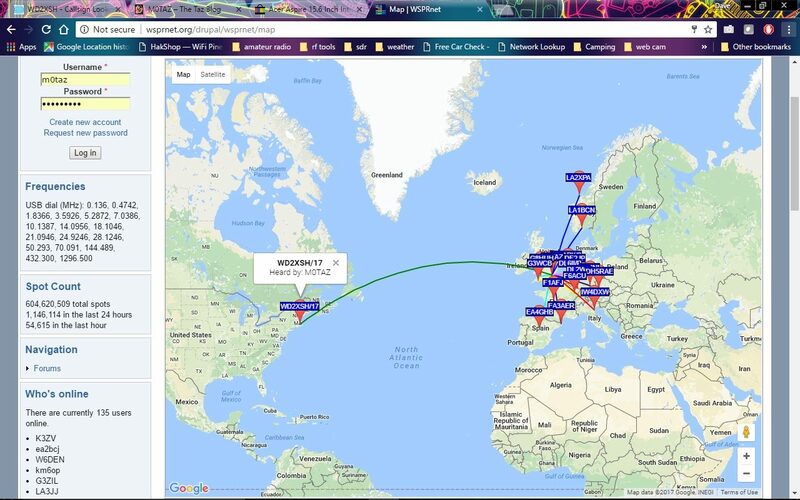 The main station now receives WSPR by a laptop and RSP1a by SDRPlay. Excellent performance, at least as good as a Yaesu FT-450.